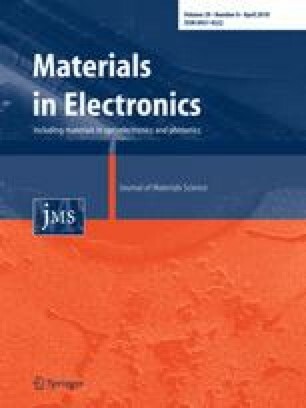 ZnO thin films (TFs) and nanorods (NRs) array have been synthesized by RF magnetron sputtering and low temperature wet chemical method, respectively. It is followed by deposition of Ag nanosheet using DC magnetron sputtering, which forms 2D and 3D ZnO/Ag heterointerfaces. This work devotes the significant of thickness, annealing and shape of ZnO–Ag heterojunction on its characteristics. A successful fabrication of ZnO–Ag heterostructure was presented to improve (modify) the conductivity and optical absorption. UV–Vis near IR absorption spectroscopy revealed higher absorption efficiency in the visible region for Ag–ZnO thin film rather than in pure ZnO. The optical response of ZnO–Ag composite based on Gans theory indicates surface plasmon resonance behavior as well in nonspheriod (oblate) Ag nanoislands. The transport behavior of FTO/Ag/ZnO NRs/Cu heterojunction could be useful in variable resistor (varistor). Current voltage characteristic of Ag/ZnO NRs/FTO shows good Schottky behavior. The predicted Schottky barrier height of 1 V was obtained which is not far from the theoretical Schottky–Mott value of 0.8 V. Photocatalytic degradation of Rhodamine B (RhB) was used to evaluate the activity of ZnO NRs/Ag heterostructure. ZnO NRs/Ag heterostructure depicts the best photocatalytic activity due to electronic and plasmonic coupling. The authors would like to acknowledge financial support of Iranian nanotechnology initiative. The corresponding author (Ali Rahmati) is grateful to his wife, Mrs Mahla Ghaemi Moghadam for her patience and invaluable help.